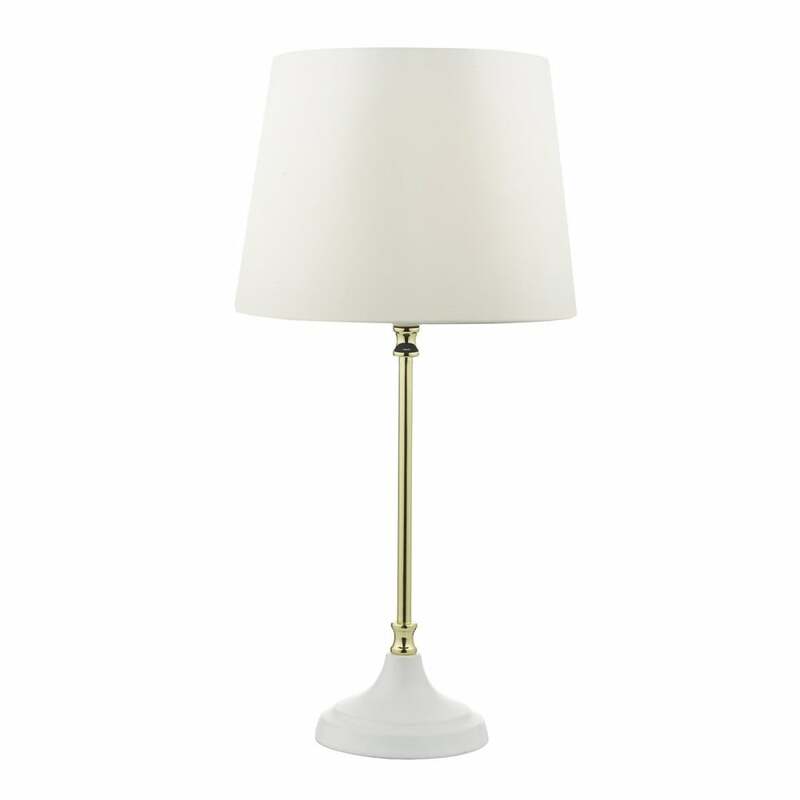 Dar Lighting Bliss single light table lamp features a circular base in white finish with tall stem in gold finish holding a white faux silk tapered shade. This glamorous design in both gold and ivory white finish creates a stunning look and is complimented well by the ivory faux silk shade, making this perfect for both modern or traditional styled decors alike. Double insulated and operated by an inline rocker switch. The Bliss collection includes a matching floor lamp which can be viewed on our website.